Click BELOW to buy your membership! 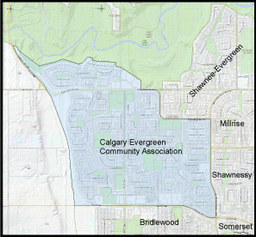 Do you live within the Calgary Evergreen boundaries and have purchased a membership? ​If so, please review the following articles on some of the businesses that are providing valuable discounts and benefits for CECA members. Some conditions apply, please read more below! Here are the benefits you can get with your CECA membership. Remember to show your valid membership card. Details below. Trico Centre for Family Wellness is a non‐profit, community‐owned and operated recreation facility. Our passes are affordable and our programs are family friendly. With a pass, you can work out in the fitness centre, take in more than 70 drop-in fitness classes a week, use the gymnasium, swim, skate, plus you get 20% off our fun, active registered programs. For more details check the Program Guide or www.tricocentre.ca for more details. Your Community Association is partnered with Trico Centre for Family Wellness. A member of your community association serves on the Board of Directors of Trico Centre. Buy a Trico Centre Continuous Monthly Pass and small portion goes back into your community association! Member rates apply to residents of the following communities WITH a valid community membership: Millrise, Midnapore, Somerset/Bridlewood, Silverado, Sundance, Shawnessy, Calgary Evergreen, Shawnee-Evergreen, & Chaparral. Check http://www.cardelplace.com/​ for details. Wants to help you love your Evergreen home! Whether you are looking to stage your home for sale, update your colours, or do some decorating, Darelle's Designs is the place to go! Proudly offering CECA members 10% off our services! Visit www.darelledesigns.com for more to to contact us. ​Is offering a 10% of any yard product purchase for CECA members. ​Show your CECA membership card and a print of the below coupon at their Calgary Farmers Market location and get free birdseed! Offer good till the end of May. A locally owned for 30 years toy store near Chinook, is offering CECA members a 15% discount when you show your membership card. Visit www.castletoys.ca for location and hours. If you do an online purchase, please use the promocode EVERGREEN to get the 15% member discount. - Hedge Trimming - Shrub & Small Tree Pruning. Fitness discount for CECA Members! At the Orangetheory Fitness in Shawnessy. *It is tough! It is fun! It is addictive! Call (587) 481-8765 and claim up to 20%* discount! Your Window Guys clean windows, eavestrough gutters, house and garage siding, driveways, walkways and decks. 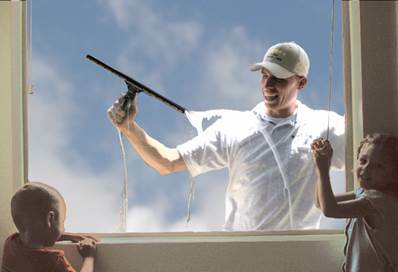 Value added feature includes no-fee verbal report: if your eavestrough gutters out of alignment, windows need repair, they will notice and let you know. When you call to book your appointment, allow two weeks for them to fit you into the schedule. 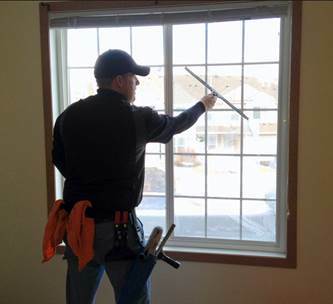 Book your appointment with Greg by calling 403-909-7637 or email info@yourwindowguys.ca. Offer for CECA members only, show your valid membership card. The Branch Manager Tree Experts genuinely care about the health and longevity of our trees. 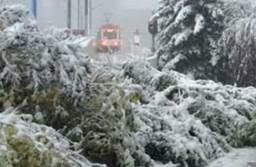 They guarantee the best tree service in S.Alberta. Pruning is vital to supporting tree health and when done correctly ensures our property value is enhanced. All dead wood is removed and hazards or disease sites are minimized. Scott Kellock, owner, with more than 30 years experience, certified arborist and horticulturist, will provide $50 off your tree service if you send photographs of your tree prior to scheduling your appointment. 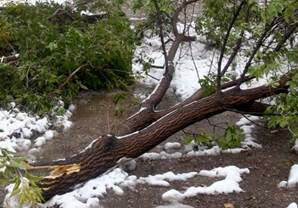 Call Scott at 403-999-8733 or email treeguy@branchmanagertreeexperts.com. This offer open to CECA members with a valid membership card.